And Then There Were None (USA, 1945), directed by René Clair, is the original film adaptation of the famed Agatha Christie novel. The novel is the best-selling mystery thriller of all time and one of the top 10 best-sellers among all books in English. The film is popular, too, on IMDb and Amazon. Many film critics, even some who give it high marks, say this film is “sentimental.” What do you think they mean by that? What evidence could be cited in support of the claim that the film is sentimental? Audebert, the French Lieutenant, draws something he’s seen on the wall of his quarters. What does he draw? Why does he draw this? Does this have any significance for the film as a whole? Explain your answer. Why is Doubt a suitable title for this film? There may be several reasons. This film is an adaptation of John Patrick Shanley’s play Doubt. Have you read the play? Have you seen the play performed? If you’ve read or seen the play, what is your evaluation of the film as an adaptation? What is the opening scene of the film? Having seen the whole film, what makes this a fitting start? Where does Father Flynn get his ideas for his sermons? What is the theme of his first sermon? His second sermon? His farewell sermon? What is the source of each of these sermons? Sister James asks Father Flynn if the sermon about gossip was directed at anyone in particular? He replies with a question, “What do you think?” Neither question is answered directly. So, what do you think? What do you think of Father Flynn’s description of gossip and his method of illustrating this vice? Is it effective? Does it give you greater insight into the nature of this common but malicious practice? Have you ever been the victim of gossip? Did it have an unfair effect on your reputation? How did you respond? Did you do something about it? What should a person do when someone with influence has spread rumors about him or her to others? What does Sister Aloysius think Father Flynn has done wrong? Does she have a specific allegation of wrongdoing? What is it? If Sister Aloysius candidly agrees that she has no evidence and cannot prove her allegations against Father Flynn, why is she so certain that he has done something wrong? Is it true that she has no evidence? Are there moments when you suspect that Sister Aloysius is right to suspect Father Flynn? If so, when, during the film, do you feel this way? Sister Aloysius walks with Mrs. Miller in the cold weather toward the place where Mrs. Miller works as a cleaning lady. What do we learn about Mrs. Miller’s son, James, from their conversation? What effect does this have on the Sister’s suspicions about Father Flynn? Immediately following the conversation between Sister Aloysius and Mrs. Miller, there’s a gust of wind that vehemently lifts and swirls the fall leaves around the Sister. There is something unnatural about this. Perhaps it is symbolic. Can you relate this occurrence to any other features of the film that explain it significance? While coaching the boys in basketball, Father Flynn notices that some of the boys have dirty fingernails. He stresses the importance of having clean nails and shows them his own, saying, “I like mine a little long.” What’s significant about this moment in the film? Recall that Sister Aloysius later orders Father Flynn to cut his nails. What does this business about Father Flynn’s nails have to do with the themes of the film? Father Flynn thinks things should be a little more relaxed and friendly at the school. You might suspect that his theological views are also more lax and progressive. Is this accurate? Are there indications that Father Flynn’s theological beliefs are traditional or more progressive (i.e., liberal)? Ultimately, Father Flynn leaves the parish to become pastor of another congregation. Why does he leave? Does his departure mean that he is guilty of wrongdoing? Sister Aloysius remarks that his resignation is proof of his guilt. Do you think she might be right? Suppose Father Flynn has done nothing wrong in his relationship with the boy named James. And suppose he’s done nothing wrong with other boys at other parishes. How does Sister Aloysius justify her lie about speaking with a nun about Father Flynn’s behavior at his previous parish? Could a lie of this sort ever be justified for a person in her position? Why hasn’t Sister Aloysius made the phone call she claims she has made? The Oxford English Dictionary defines “innuendo” as “an oblique hint, indirect suggestion; an allusive remark concerning a person or thing, especially one of a depreciatory kind.” Consider the role of innuendo in this film. The accusations of Sister Aloysius are indirect and yet pointed and insistent. Father Flynn’s response is often diffident and cautious. Sister James is coy. Why are the themes of the film handled in this way, rather than more directly? How does the film end? Are you surprised by the confession made by Sister Aloysius? Is this a satisfying ending? Is there any sense in which Sister Aloysius, stern as she is, is a sympathetic character? Explain. What does this film say about doubt? What else is this film about? What lessons does this film have for the viewer? Are there people you know who would enjoy seeing this film? Why do you think they would enjoy it? Are there people you know who would not enjoy seeing this film? Why do you think they would not enjoy it? List other films you’ve seen starring Meryl Streep in a lead role. Compare Streep’s performance in Doubt with her performance in these other films. On a scale of 1 to 100, how would you rate her performance in Doubt in comparison with her performance in other films? Alternatively, rank her performance in this and other films by placing them in order, starting with the best and working down the scale. Do the same for Philip Seymour Hoffman that you did for Streep in the previous question. For the highly-touted play from Amazon, click here. The French film L’Armée des Ombres (“Army of Shadows”) is an adaptation of the 1943 book (same title) by Joseph Kessel, who participated in the French Resistance. Whether you know little or much about the Resistance, if you want a realistic film portrayal of a critical aspect of the Second World War, this is a film to rent or buy. I can’t imagine a more effective vehicle for presenting an insider’s view of the movement. The film is expertly cast and paced with precision. But the action is subdued, so don’t expect a Jason-Bourne-meets-James-Bond kind of experience. Army of Shadows offers a tight shot of espionage—plotting with limited resources, the paltry odds of success, endless psychological misgivings, and complex interpersonal dynamics. What does it really mean to be courageous? Is it possible to exercise genuine freedom of self-determination in the very moment you are about to be executed by a firing squad? Can a cause be so just that killing an innocent co-belligerent is justified if letting her live could compromise the mission? On what basis can you entrust your life to someone you’ve never met? Should a woman with the skills needed to execute a tactically sophisticated and personally dangerous mission be enlisted if she has a husband and children who know nothing of her activities? Does it ever make sense to engage in a fatal rescue operation if no one will know of your valor? Why does the simple offer of a cigarette enable some men to face certain death with dignity? Was the French Resistance a prudent response to the Nazi occupation of France? This film churns the emotions and the mind. The Resistance is testimony to the indomitable spirit of human beings guided by commitment to a high ideal. I saw Army of Shadows soon after seeing the Angelina Jolie film Changling. The similarities are unmistakable. Both are based on actual events. In both cases individuals pursuing righteous causes suffer terrible indignities. In both, success seems humanly impossible. Hope wells up from a secret place and keeps men and women in the game, even when the game is almost certainly lost. These are remarkable parallels, parallels I would have missed if I had not seen the two films in the same week. As these films end and the credits roll, some viewers will be stuck to their seats with feelings of sadness mixed with cheer. The sadness explains itself. The cheer is unexpected. But the cheer is solidly grounded. It rises in response to the failed heroism of Christine Collins, the mother in Changling, and of Phillipe Gerbier, the head of a Resistance network in L’Armée des Ombres. Because the heroism is real, though it is not rewarded with complete success (or perhaps because it is not rewarded with complete success), our own dignity is affirmed. I’m ususally content to see a movie once, even a very good movie. But soon I’ll be downloading L’Armée des Ombres from Amazon to my TiVo. This one is worth owning and re-viewing. As I learn of online sources posting discussion guides for specific films, I’ll list them here. Residence Life Cinema has created film clips to help college and university students manage residence life. One section of the site is titled Movie Discussion Guides, where discussion guides are organized into categories of general interest to students. On this page there’s also a link to a complete alphabetical list of films for which there are discussion guides. To download discussion guides in PDF format, you have to have an account with Residence Life Cinema. 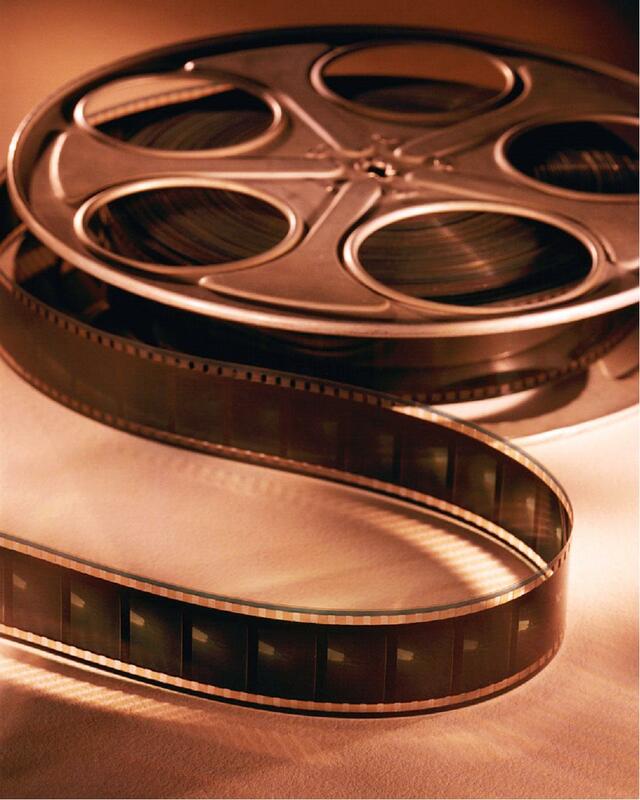 teach with movies is another site that specializes in the use of film to educate. Access to discussion guides requires a subscription that costs $11.95 per year (as of August 2008). But one page—here—that is accessible for free lists excellent questions for exploring ethical issues in almost any film. Movie Learning Guides provides discussion guides for parents and teachers, focusing on character development. Chapter 4 of my book, Faith, Film and Philosophy, is titled “Escaping Into Reality: What We Can Learn from The Truman Show about the Knowledge Enterprise.” Here are discussion questions for the film The Truman Show that I’ve used in conjunction with this chapter. What is Christof’s purpose in “designing” a life for Truman? What kind of life does he want for Truman? And what is Christof’s purpose in televising Truman’s life? There’s The Truman Show that is the TV show the movie is about, and there’s the movie called The Truman Show that we see in the theatre or on DVD. We’ll call the TV show TS-1 and the movie TS-2. In TS-2, viewers of TS-1 are depicted in various ways. Presumably, they enjoy watching TS-1. What is it about TS-1 that keeps them watching? Why do they like watching? What does this say about them? Those watching TS-1 seem to have opinions about the quality of life Truman has on “Seahaven.” What are they supposed to think about Truman and his quality of life? How does this compare with Christof’s attitude about Truman’s quality of life? Now think about how we are supposed to regard Truman’s life as we view the film, TS-2. Is there a difference between what we’re supposed to think or feel as we watch the movie and what the TV viewers are supposed to think and feel as they watch the TV show? Describe whatever differences you think of. Truman falls in love with Sylvia, who is kicked off the show (TS-1). Later she calls in to speak with Christof during a rare interview on television. What is her thesis about what Christof is doing? Do you agree with her? Are we supposed to agree with her? Does she make a good argument? Can you think of ways to strengthen her argument? What is this movie about? Do you think the filmmakers are making an argument? If so, what is that argument? What is the thesis and what evidence is presented in support of that thesis? What kinds of freedom does Truman exercise while living in Seahaven? What kinds of freedom is he lacking? How is he presented from exercising these freedoms? Some critics see Christof as a god-figure in this film and suggest that the film is actually a critique of the Christian worldview. If that’s true, what do the filmmakers assume about the Christian worldview, and especially about the Christian or biblical conception of divine sovereignty and human freedom? Based on your understanding of what the Bible teaches about such things, how is Truman’s life in Seahaven like, and how is it unlike, human existence in the actual world? Support your answer from the Bible and from evidence in the film. In his chapter in Faith, Film and Philosophy, Geivett claims that this film illustrates how a person may be able to acquire knowledge that is important, even when much of his community is determined to deceive him or her. Is this a plausible claim about the film? How could this claim be challenged? What does this film “say” about the responsibilities people have toward each other when it comes to seeking the truth and tracking the evidence? Can you describe some contemporary attitudes about truth, the objectivity of truth, and the possibility of knowing truth? How are these attitudes reinforced socially? Chapter 7 of my book, Faith, Film and Philosophy, is titled “What Would Have Been and What Could Be: Counterfactuals in It’s a Wonderful Life and Run Lola Run. The author is Jim Spiegel. Here are discussion questions for the film Run Lola Run that I’ve used in conjunction with his chapter. Are there any elements in the film that you didn’t understand or can’t explain? Write down what comes to mind? The film depicts three possible scenarios. Between the first scenario and the second is a scene when Lola asks Manni a series of questions. She begins with the question, “Do you love me?” What is funny about this scene? What is the logic of her questioning? How does Manni respond? Do you think he should have answered her differently? Who are the people that Lola encounters during her race to catch up with Manni? What technique is used to portray their respective futures? Why are they portrayed in different ways from one scenario to another? What bearing does this have on the message of the film? Is there humor in this film? If so, what is its significance, if any, for the message of the film? Is this a comedy? If not, is the humor accidental (not intended by the producers or director) or incidental (not salient to the main message of the film)? Explain your answer. Between the second scenario and the third, Manni asks Lola, “What would you do if I died?” She thinks his question is stupid. Do you agree with Lola? Why would Manni ask such a thing? How is this bit of dialogue appropriate to the film? Is there anything significant about placing this scene here, rather than between the first and second scenarios? Does the fact that this movie is in German make the movie more enjoyable, or less? Explain your answer. What would be lost, if anything, if it was in English? Do you think you would enjoy it more, or understand it better, if you understood German? In the last scenario, while Lola is running with her eyes closed, and she doesn’t have the money, what is she saying? Whom is she addressing? Think about what happens next. Is this supposed to be related to her plea while running? If so, how? At the Casino, Lola gets incredibly lucky. At this point in the film, is that a surprise? Why or why not? There are places in the film where a group audience tends to respond with laughter. It’s as if there are cues in the film to laugh at these moments, and most people respond on cue. How does experience of a film in a group situation help in the process of understanding what a film is about, or what a viewer is supposed to believe or feel in response to a scene?